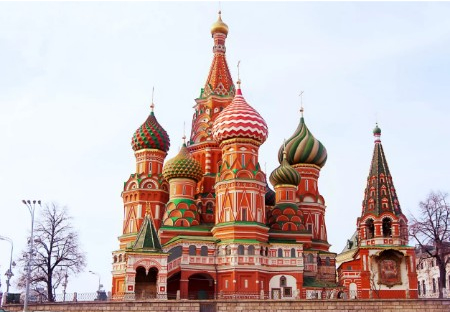 You need only mention the city of Moscow to conjure images of the colourful and captivating gingerbread castle that is St Basil’s Cathedral. Nevertheless, the wider picture regarding Russian art and architecture remains an enigma to most visitors to the country. Recent years have seen Russia open its doors to more outsiders than ever before, shedding light on one of the world’s most mysterious and fascinating lands. To enter the country as a foreigner it is still necessary to obtain a visa to Russia, but the application and general entry processes have been simplified significantly over the years. 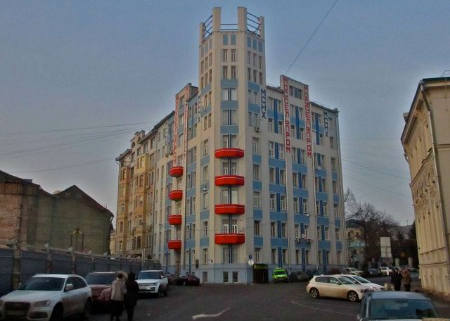 After applying for your Russian tourist visa it then simply becomes a case of knowing where to direct your search for the most intriguing architecture in Russia. And we use the word ‘intriguing’ because beauty is, after all, in the eye of the beholder. The second iteration of the structure standing in Tsarskoye Selo, the original Catherine Palace was destroyed around three centuries ago to make room for a more ornate, gold-plated replacement. 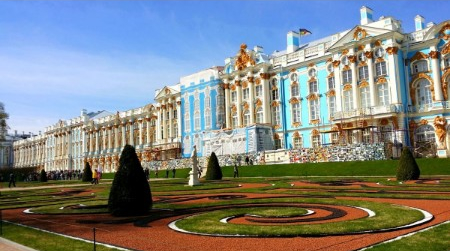 Indeed, today’s Catherine Palace is lavished with more than 200lbs of gold, which once again had to be rebuilt largely from scratch after being bombed by the Germans in World War II. 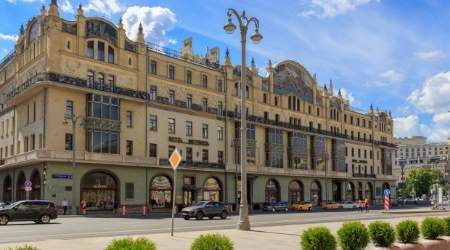 One of countless works by Lev Kekushev – credited with bringing the Art Nouveau style to much of Moscow – the Metropol Hotel is actually a far cry from of the original plans drawn up by the famed architect. Financer Savva Mamontov went bankrupt somewhat quickly after construction began, making the magnificent Metropol Hotel of today a surprisingly modest version of the building that was supposed to be. The Moscow Metro is home to a handful of extraordinary stops, though none more captivating than Mayakovskaya. The ceiling is ordained with 34 mosaics detailing 24 hours in a Soviet day. 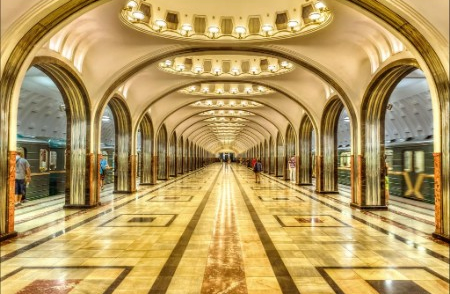 An incredible Art Deco masterpiece, Mayakovskaya also served as a bunker during the Second World War. Often referred to simply as the Honeycomb Hotel, this brutalist structure occupies an imposing position at the very heart of the Caucus Mountains. 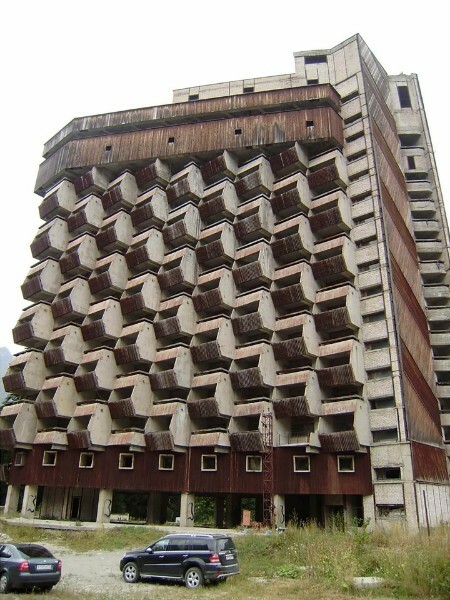 The fact that Hotel Amanauz was never finished and therefore never used only adds to its haunting presence. 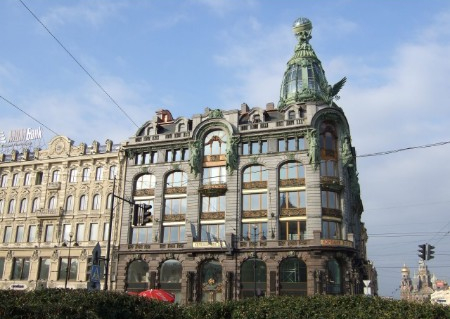 Constructed by the American Singer Company in the first few years of the 20th century, the Singer Company Building in St. Petersburg was supposed to recreate the image of a New York skyscraper. 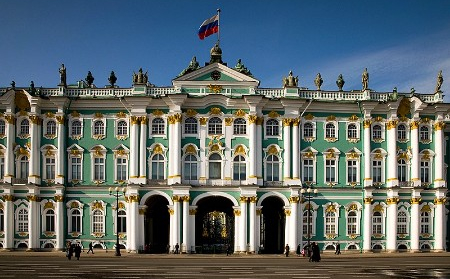 Albeit, in a somewhat smaller form – it was illegal to build anything in St Petersburg taller than the Winter Palace. Previously home to the rulers of Russia, St Petersburg’s Winter Palace is now open to the public as the home of the Hermitage Museum. Witness to Russia’s turbulent past, the Winter Palace was the location of the 1905 Bloody Sunday Massacre. Undoubtedly one of the most beautiful churches still standing anywhere in the world, St Basil’s Cathedral was saved at the very last-minute from being destroyed by Stalin. Today, St Basil’s Cathedral is one of the top tourist attractions in Russia and an important museum. 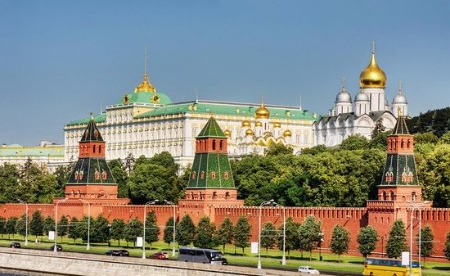 Likewise, the Moscow Kremlin is an equally popular attraction for visitors to the country and a seriously imposing complex. It’s also one of the most intriguing and mysterious government buildings in the world, shrouded in secrecy for centuries. 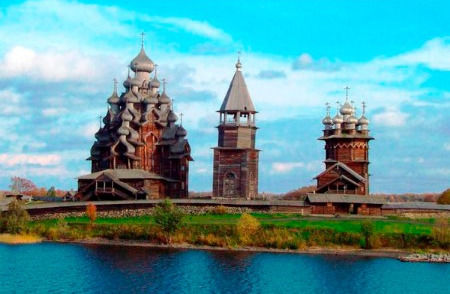 Home to a handful of extraordinary historic wooden churches, Kizhi Island was once one of Russia’s most important mining and lumber towns. The undisputed gem of Kizhi Island today being the mesmerising Transfiguration Church with its 22 domes. Last but not least, the Mosselprom Building combines Avant-Garde with Constructivism to create a truly magnificent specimen. The original Mosselprom Building collapsed quickly after its initial construction in the early 1900s, though was faithfully restored to its original aesthetic specifications.